Spiecapag, part of the world-wide Vinci group, are seeking experienced Contract Administrators for a range of Fixed Term appointments across 2019. Prior exposure to remote work locations / FIFO roles is a must, and prior Pipeline experience will be well regarded. Reporting to the Commercial Manager, these are standalone roles, suitable for an experienced (3-5yrs) contract administrator or quantity surveyor seeking an opportunity work on our exciting upcoming construction projects. Project allocation will be based on individual skills and experience complementary to the project team. Generating subcontractor and supplier RFQ packages including, scope, pricing schedules, procurement schedules and management plans. Contract negotiation, review and execution. Maintenance of various subcontractor administrative systems including but not limited to; inductions, progress and instruction registers, payment and contractual variations. Cost coding, purchase orders and financial monitoring of subcontractors against budget. Monitoring and auditing of sub contractor activities and conduct against contractual terms and commitments. Degree in Quantity Surveying or equivalent discipline. 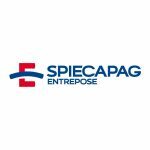 Spiecapag is an equal opportunity employer who encourages women and Aboriginal or Torres Strait Island decent to apply. Only applicants with current Australian work rights will be considered. All applicants will be asked to provide evidence of their work rights at first screening. We thank you in advance for taking the time to apply. How many years’ experience do you have with contracts administration? Have you worked in a role which requires a sound understanding of OH&S/WHS?